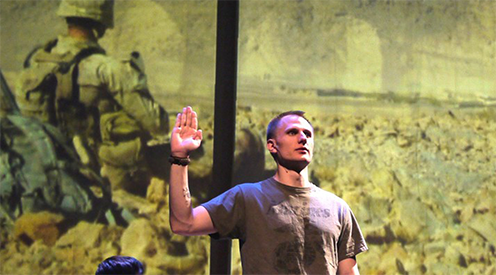 What does it really mean to have your “boots on the ground”? 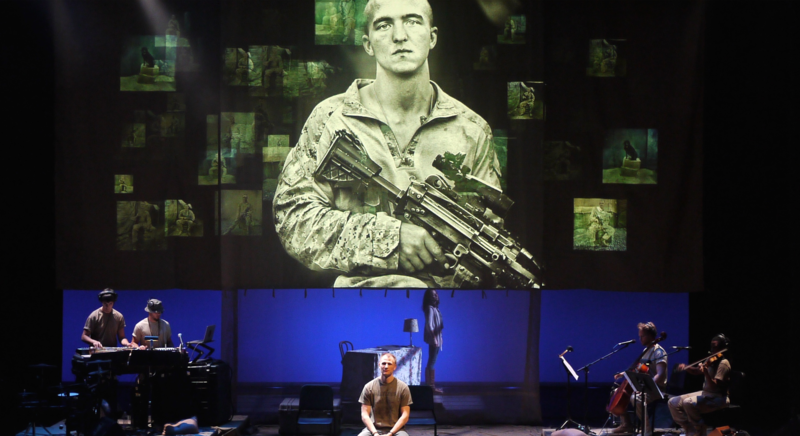 Theatre, music, social media, journalism, and technology collide to tell the true stories of ordinary people fundamentally changed by the extraordinary experience of fighting a war. We come to experience the difficulty of separating from a loved one, the anxiety provoked by their long absence overseas, the angst of not knowing day to day whether or not a family member is safe and the tremendous adjustment families undergo when those who have served come home and begin to reintegrate back into American life in search for a place for themselves. It is a dynamic, all-encompassing experience; it will leave you changed.